Vegans aim to spread awareness to inspire compassion for animals and help reduce their needless suffering. Because we vegans heart animals and suffering really bums us out. So what better way than to wear the very message right on your own body?! You gotta wear clothes anyways (mostly) so why not have those clothes say something. (Or spell something!) Fashion plus compassion! Yay! This post brought to you by Vegan Love Apparel who also provided complimentary product. See disclosure for more. 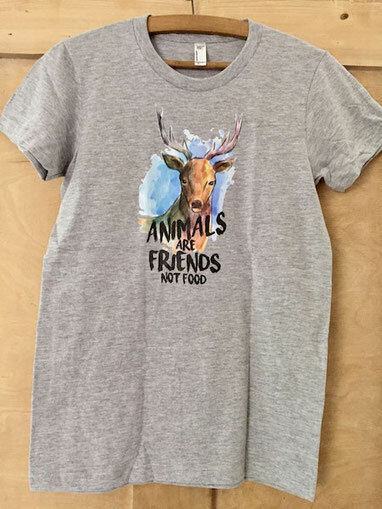 As a 100% vegan, cruelty-free and eco-responsible clothing line and company, Vegan Love Apparel carries the ultimate vegan seal of approval from the vegan mothership, PeTA. 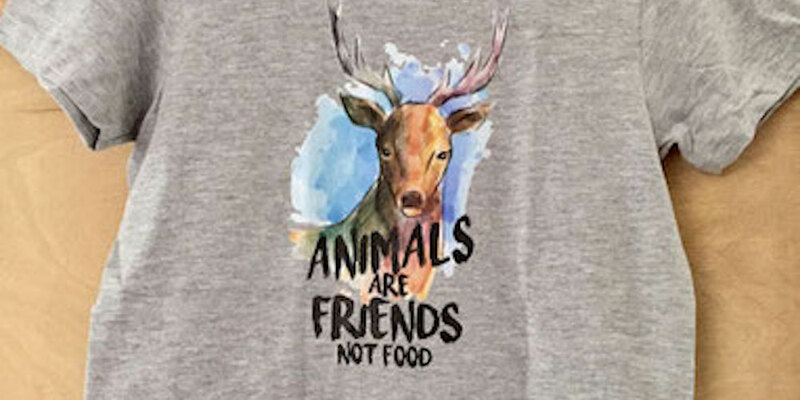 They have a great selection of products with some super chic, fashionable designs to match the clever statements, all on tank tops, t-shirts and even on tote bags. Maximize your message! The tees are printed on super soft, super comfy American Apparel combed ring-spun cotton tees, which, if you've ever touched, you know feel like wearing a cloud! I'm pretty sure that's what they feel like. Plus, check out the v-blog for fun, informative reads like Top 10 Vegan Health Benefits. 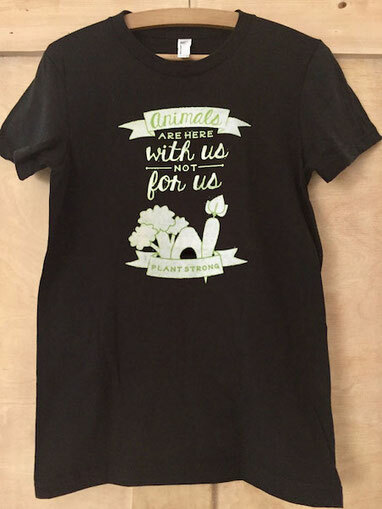 Go check out Vegan Love Apparel and get some for yourself. They're awesome and they ship everywhere. Bonus: Spend over $80 and get your shipping free!